1. Extract the folder into your Wordpress plugins directory. 3. 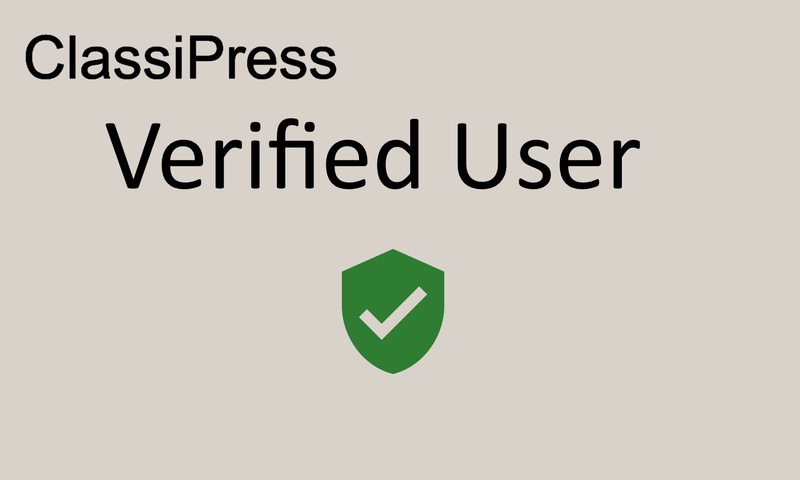 Mark users as verified in their profile in Wordpress Admin. 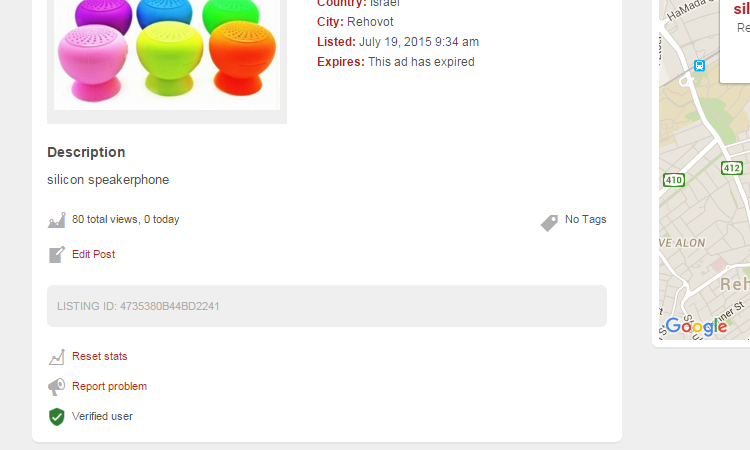 You need to purchase this item before reviewing it. This plugins just works with classipress themes? I mean I cannot use it with my own theme or Themeforest’s themes? It seems no, as in comments above mentioned. Please let me know if it’s yes or no. And is it possible to edit plugin to work with other themes? I mean do you allow me? Also can I translate this plugin into my own language and sell? I looks like a great plug in. But how does the verified user work. Is there an option where user ask to be verified or is it just something you manually do in admin panel? 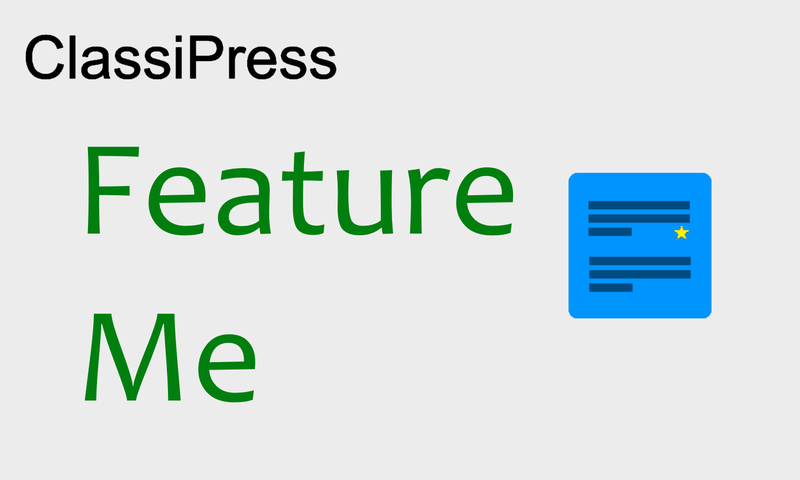 An admin can set a user as verified in wp-admin when editing a user profile. 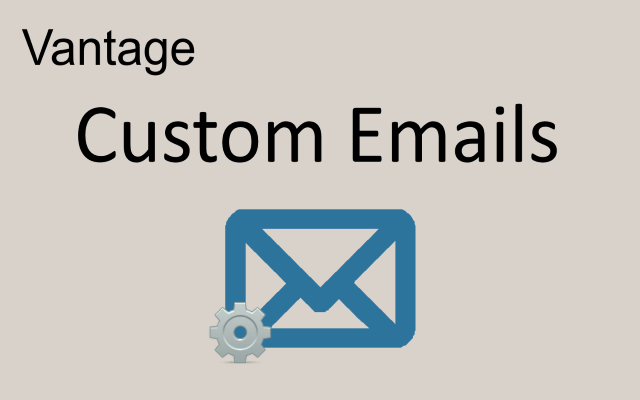 you can use a plugin like contact form7 to create a request form to be verified. OK thats a good idea. Is this compatible with CLASSY child theme? only the original theme was tested. I don’t have the classy child theme to test it. Could I purchase and test. But if it doesnt work, can I recive refund? I use this plugin on my site and also liked that the verified users to see possible can post ads without moderation ..
roidayan Make this update does not mind paying for this update, I needed a lot to users to see with verified account could post ads without moderation. It does only half the job. After the ad has been published, the publisher will often want to EDIT the ad. After edit, the plugin no longer works. It needs to wait moderation for approval. It would be great if a verified user that can publish with no moderation, can also edit with no moderation…. I noticed that after installing the plugin, EVERY user can publish their ad immediately without moderation, not ONLY the verified user. can’t reproduce the issue. also this is not a help section. please use the dedicated forum for the plugin and open a new thread about the issue with details. it will be more convenient. thanks. I apologize! It is working well! My mistake! Sorry!!! Does this work with hirebee? probably not. this plugin is intended for classipress only. does it send the activation link to the user’s email address to verify the email address? no, this does not affect registration to the website. this is if a user is already registered then you add verify that user to have a verified icon. if you want the user to verify the email address when registering there are other plugins for that I guess in the wordpress repository. You should offer a free version so everyone can test it, than ask for a paid version with full functionality. I plan to let the verified badge be visible on the profile page and on the users activity log. Plugin werkt niet denk goed na voordat je hem aanschaft. Notify me of follow-up comments by email (or subscribe without commenting). 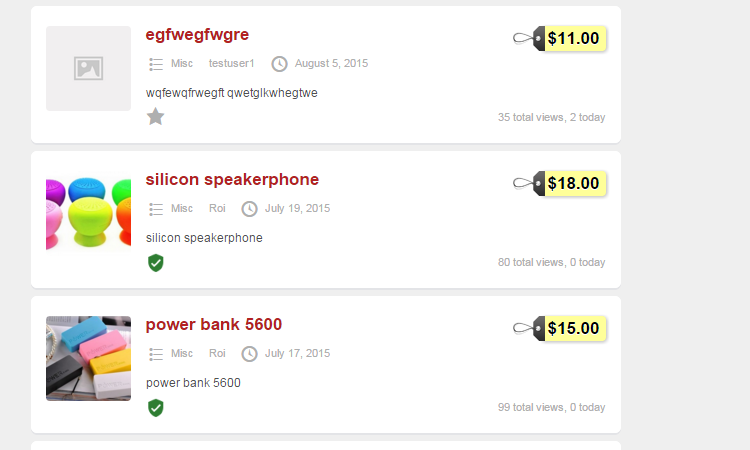 Gives users the ability to feature a ClassiPress listed ad. 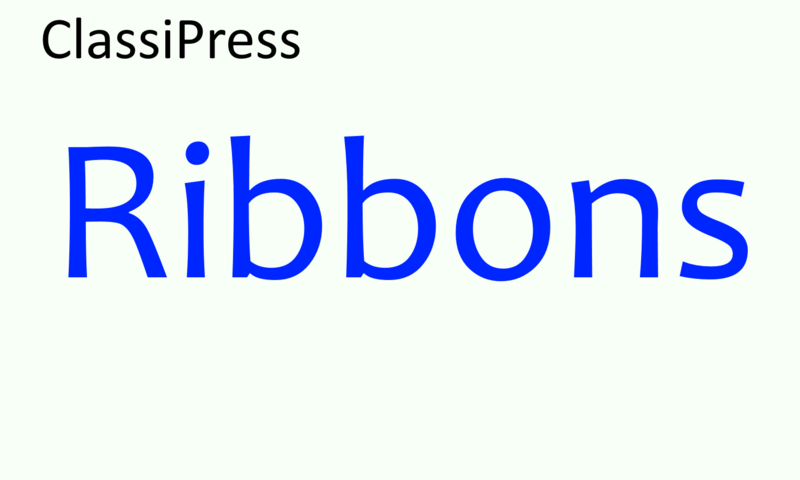 A plugin to add ribbons and tags to ClassiPress ads.